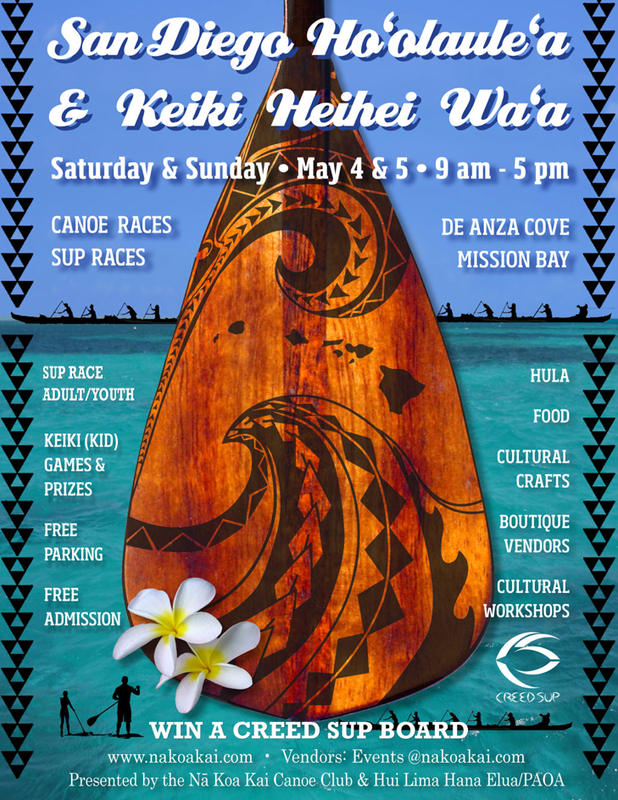 Stand Up Paddle Surfing: The San Diego Hoʻolauleʻa & Keiki Hehei Waʻa is growing! The San Diego Hoʻolauleʻa & Keiki Hehei Waʻa is growing! At this point we have several teams from the State of Hawaiʻi representing over 70 youths committed to attending and supporting our regatta. Of course all the teams from the U.S. Mainland are invited and encouraged to attend. On Friday evening May 3rd, there will be an imu (underground oven) workshop for all youth paddlers so please plan accordingly. See the race packet for details. 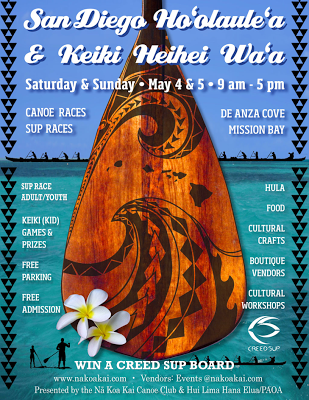 On behalf of Nā Koa Kai Canoe Club I would like to give a heart-felt mahalo nui loa to Creed Stand Up Paddle Boards for being our SUP board sponsor and for being there to "Stand Up For The Kids"™. I would also like to say Mahalo nui loa to our other sponsors which IncludeTeradata Corporation, Mays Meats Hawaii, and of course Alaska Airlines.